Dubai, UAE: In the third event of the series, Armani Hotel Dubai will welcome chefs from Armani/Ristorante in Milan, Tokyo and New York for the 2016 installment of ‘A World Journey: Four Chefs from Four Corners’ – an exclusive dining event showcasing the very best from the tetrad of cities in Dubai, on November 23 and 24. 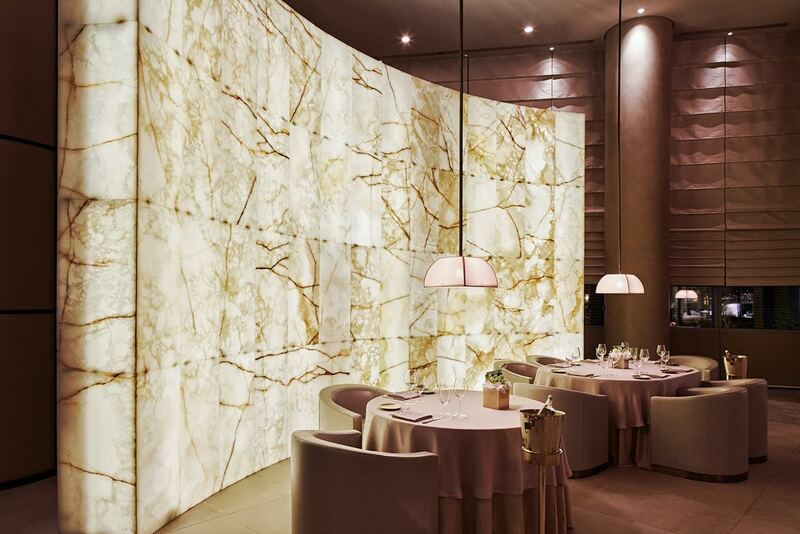 Chefs Filippo Gozzoli from Milan, Francesco Mazzi from Tokyo and Michele Brogioni from New York, will join Chef Alessandro Salvatico in his resident Armarni/Ristorante Dubai kitchen to serve a mouthwatering seven-course degustation menu, which reflects the elegance synonymous with the Armani brand. The chefs from the iconic cities will serve exceptional dishes, taking advantage of the best seasonal produce, including truffle, chestnuts, pumpkin and of course, gold – taking diners on a journey of discovery with a series of dishes to tantalise palates as part of the ‘Gold Season’ themed carte du jour. Reflecting the flavours of autumn in truly Armani-style culinary fashion, the exquisite international menu will be complemented by the stunning views of The Dubai Fountain. Appetites will be whet with pre-dinner apertivo – a selection of canapés by each of the four chefs – before being treated to an extravagant gala dinner where the international chefs come together to entice the senses with a further six courses. The World Journey began in November 2015 in Milan, and continued this April 2016 in Tokyo with Dubai its third stop – which will offer sumptuous food only and sophisticated beverage pairing menu options. The series will conclude after the New York installment in the coming year. ‘A World Journey: Four Chefs from Four Corners’ exclusive dining event is priced at: AED 600 per person for food only with beverage packages available.